End-unit townhome in Copper Ridge! Perfect starter home, or great for an investor who wants an income property. Main level includes a kitchen and dining area with access to patio and family room with a fireplace. Upper level has a master bedroom and secondary bedroom and a full bath. Master bedroom also includes a vanity area and balcony access. Stackable washer & dryer included. Patio also has utility shed and backs to open space. Unit includes a reserved parking space #19 located directly in front of unit. 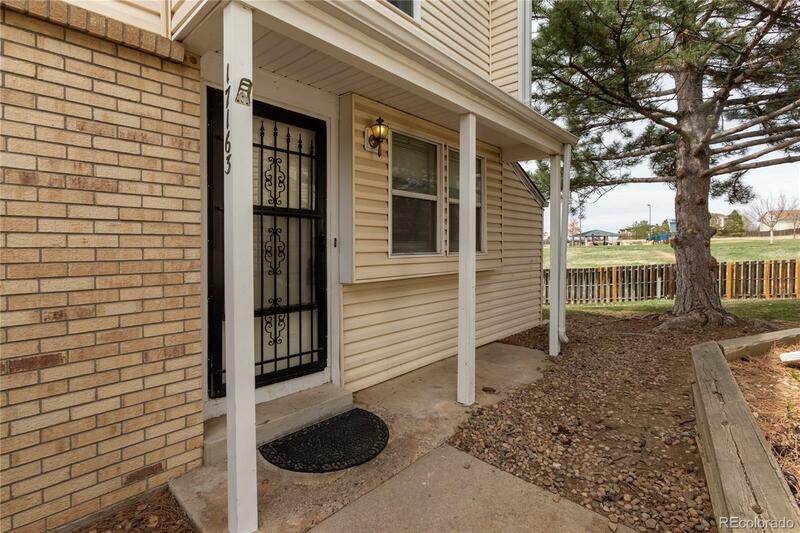 Conveniently located 10 minutes from 225, 10 minutes from E-470 & daily conveniences are walking distance. Schedule your showing today!